Today I got to raid Ma’s sock drawer. It must be a kid thing I couldn’t find one sock that matched. Maybe the dryer ate the other sock. The world may never know! Wonder what were gonna do tomorrow? This entry was tagged blog, dryer, fun, kid friendly, laugh, Mr. Potato Head, socks. Bookmark the permalink. Mr. 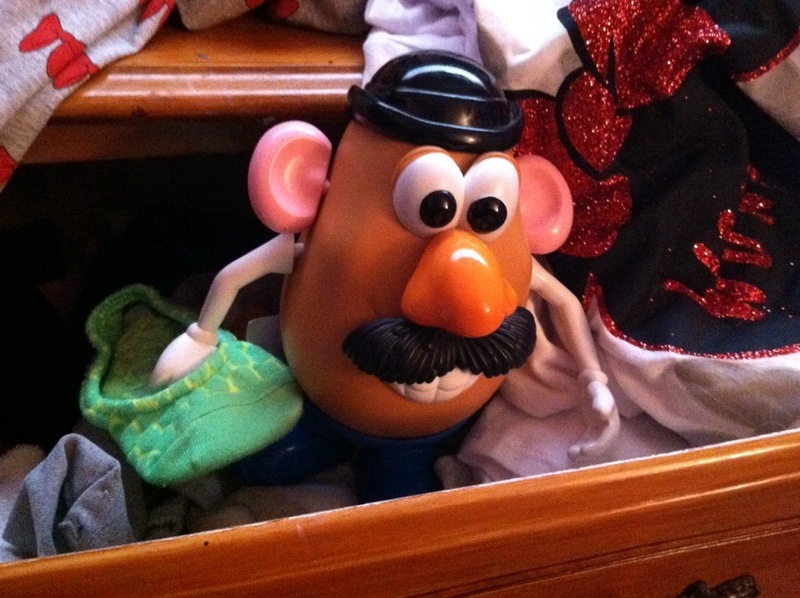 Potato Head is a registered trademark of Hasbro Corporation Mr P could take them down any day of the week! But we won't need to do that because we are all here to have a good time!